Reading the Probiotic Label: It’s Not Gobblety Gook! * What goes in your mouth might not reach your colon. Good bacteria can’t help you if they’re killed off by your stomach acid. Look for products labeled “encapsulated” or some other indication that they use technology to help the good bacteria reach your colon. * Always check the expiration date and storage information. Some supplements need to be chilled; even those that don’t require refrigeration should be stored away from heat. A sidenote: Keep in mind that heat destroys probiotic bacteria, so don’t drink coffee, hot tea, or other hot beverages for an hour after you take probiotics in any form — either as a supplement or in foods. Smile. 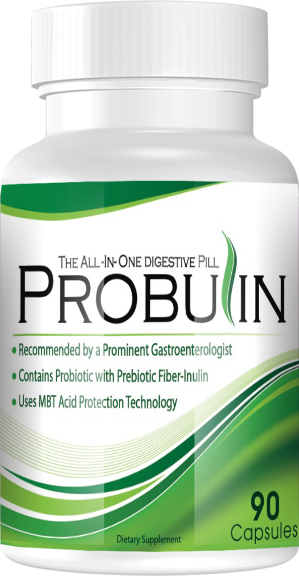 Take your Probulin. Have a terrific day!